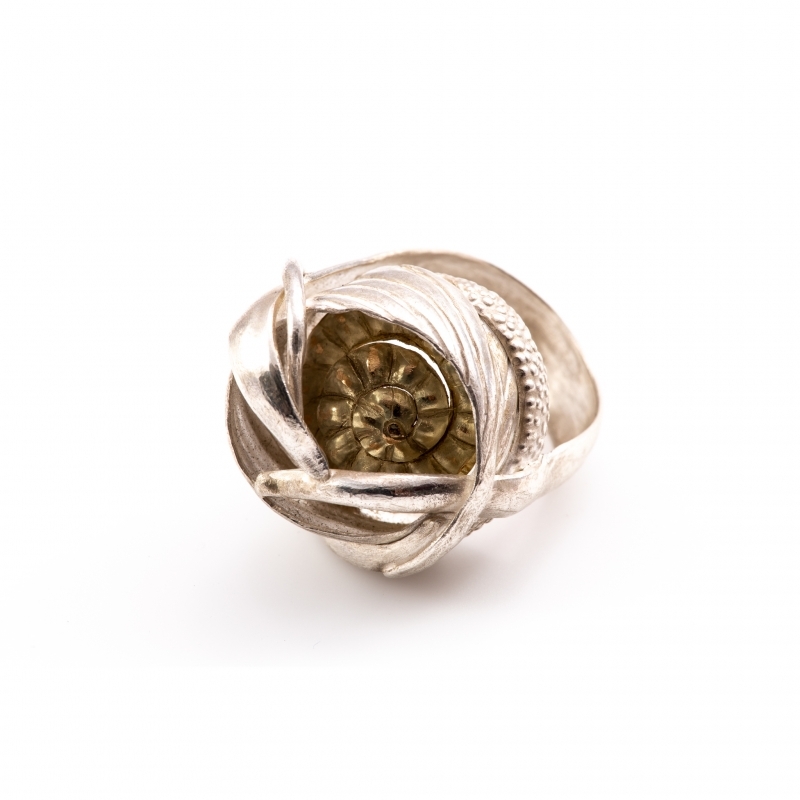 This ring is fabricated in fine silver. The textured parts, as well as the 14K gold shell on the inside were made using the chasing and repousse technique, which starts from a flat sheet of metal and works the metal on both sides with a hammer and tools. The shell pattern visible on the top and the bottom of the ring for added effect. 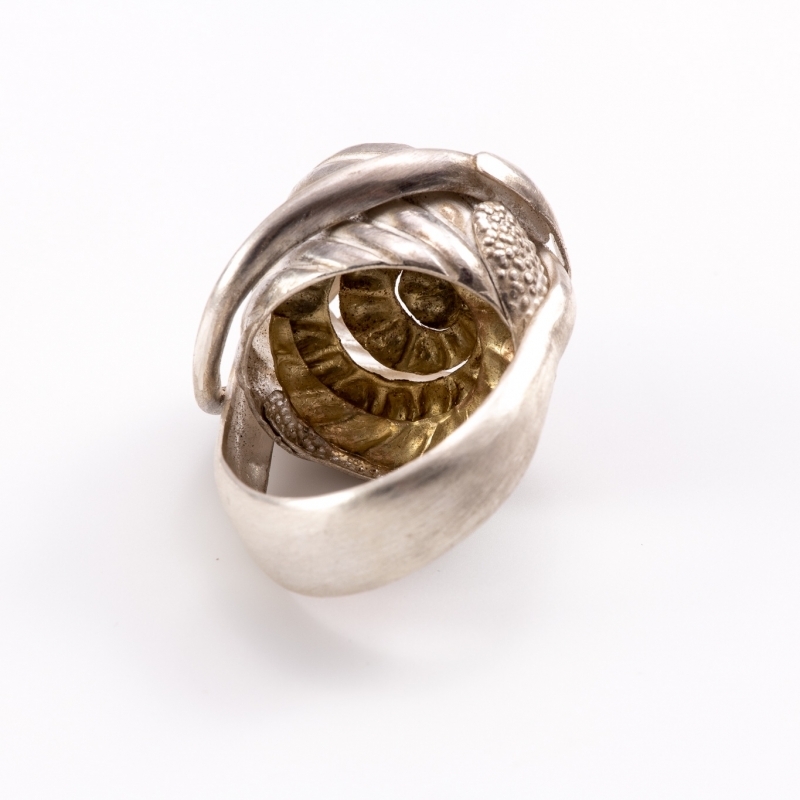 So many things to grab your eye in this piece; texture, pattern, and treasure inside in the form of a 14K gold shell.